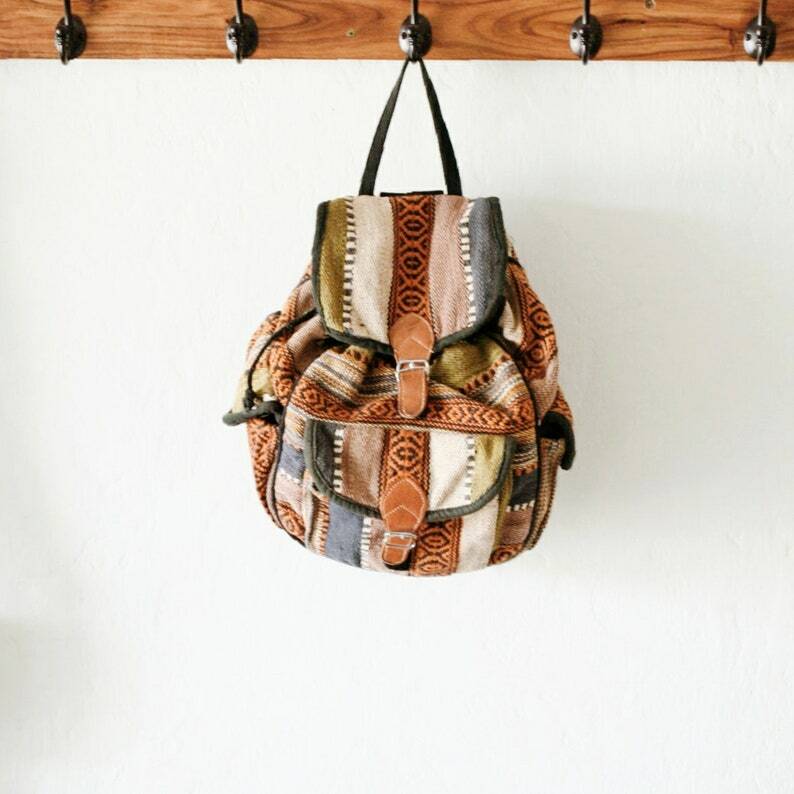 Vintage ethnic woven textile backpack with leather detail. Great vintage condition. Side pocket has a stain. Not very visible because of the textile pattern. Please refer to pictures.